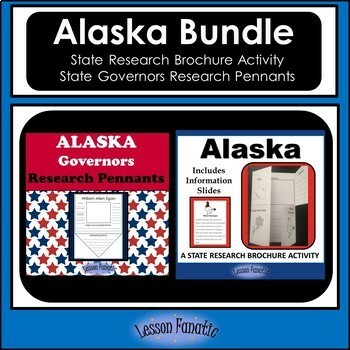 This bundle contains my two Alaska resources: Alaska Governors Research Pennants and Alaska State Information Brochure Activity. 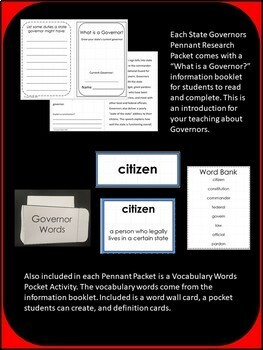 Students will research Alaska governors using these pennant printables. Have students select a governor and, using books or the Internet, research that governor including accomplishments and interesting facts about them. These worksheets do not come with any information about the Alaska governors. They are for research purposes only. All of the governors are included. If a person was governor more than once, only one pennant is included. Also included is a "What is a Governor?" information booklet for students to gain some background knowledge about governors. There is also a Vocabulary Words Pocket Activity. The vocabulary for this activity comes from the information booklet. 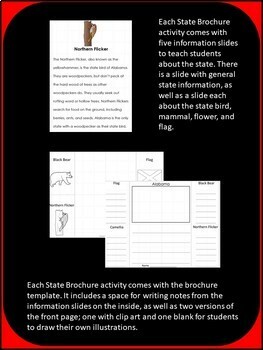 Students will read about Alaska including the state flag, state bird, state mammal, and state flower, and will write and draw about the reading in the included state brochure. This is a great activity for helping students learn how to find and synthesize information from texts. 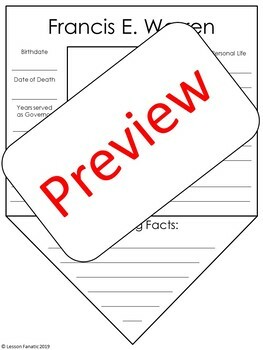 Students will learn facts about the state of Alaska with this brochure activity. The activity includes a brochure for students to complete, as well as five information slides that can be used as a PowerPoint or a Read Around the Room activity. Everything you need is included. The brochure can be glued into Social Studies journals, or posted in the classroom as a bulletin board display. Please look at the sample preview to see if these activities will be useful to your students. Please email lessonfanatic@gmail.com for questions.